What I learned from my Facebook experiment last week is that I have to have a good first sentence hook and an interesting first picture. Alternatively, I should start my post in the middle or the end. That said, here’s the end: We have to keep telling our stories because our lives, even at this moment, are history in the making. This week marked the 20th anniversary of Yitzhak Rabin’s assassination. Bill came. Yes, Bill “Shalom, Haver” (goodbye/peace, friend) Clinton. He spoke at a memorial rally in Rabin Square (renamed to honor Rabin after his assassination there). The week was filled with what-ifs: What if Rabin had lived? What if Oslo had really worked? What if, what if, what if. I’m a little cynical about what ifs. The truth is that no one knows what would have happened if events unfolded a different way. As an idealist, I understand the desire to spin what-ifs and wouldn’t-it-have-been-great-ifs. But as a historian, I believe it is more important to analyze the past and learn lessons from it. Otherwise, you end up in a spiral of history, revisiting in different ways the events of the past, and repeating them over and over. I’ve been thinking about history as a spiral because of the events in Romania this week. Since I was there in September and I asked a lot of questions about the revolution in 1989, I was stunned to hear the news that the government stepped down this week after protests over a nightclub fire. The fire was representative of the corruption of government agencies and the disregard the government has for its citizens. I also spoke to a friend in Timisoara about it – not that I have a deep understanding about it now, but at least I feel a little more informed. Here’s a video of the protest this week in the same square that the 1989 revolution took place in (and the square that I passed through every day I was in Timisoara). My friend tells me that some of the chants and songs in the video were part of the revolution in 1989. Here’s a LINK. 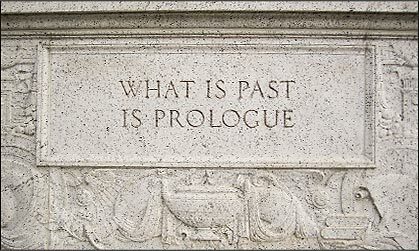 I’m a historian by training, but the part of that word that is important to me is “story.” Not just a collection of facts in a particular order, but an understanding of the events of the past that speak to us as human beings. A few weeks ago, I saw a German film called “Labyrinth of Lies” about the guy who brought German citizens to trial in Germany for war crimes at Auschwitz. This is not a Holocaust movie. It is a story about having the strength, even when you barely have the will to go on, to tell the truth about the capacity of humans to be inhuman to each other. Here’s the trailer. A documentary that caught my eye was “Winter on Fire: Ukraine’s Fight for Freedom.” Evgeny Afineevsky, the director, was in the middle of the uprising in Kiev and documented it. When he spoke about it in the interview I saw, he said something that stayed with me: “The history is happening.” Here’s a trailer. And an interview with the director. Film today is yesterday’s book. History is remembered when it touches our souls. And hopefully, we can learn from it and do things differently. I remember the events of 1989. I remember Rabin’s assassination. These are events that took place in my lifetime that are now history. We have to keep telling our stories because our lives, even at this moment, are history in the making.